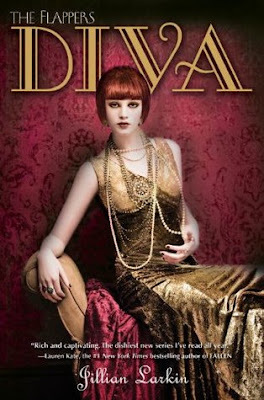 Parties, bad boys, speakeasies—life in Manhattan has become a woozy blur for Clara Knowles. If Marcus Eastman truly loved her, how could he have fallen for another girl so quickly? Their romance mustn't have been as magical as Clara thought. And if she has to be unhappy, she's going to drag everyone else down to the depths of despair right along with her. Being a Barnard girl is the stuff of Lorraine Dyer's dreams. Finding out that Marcus is marrying a gold digger who may or may not be named Anastasia? A nightmare. The old Lorraine would have sat by and let the chips fall where they may, but she's grown up a lot these past few months. She can't bear to see Marcus lose a chance for true love. But will anyone listen to her? Now that the charges against her have been dropped, Gloria Carmody is spending the last dizzying days of summer on Long Island, yachting on the sound and palling around with socialites at Forrest Hamilton's swanky villa. Beneath her smile, though, Gloria's keeping a secret. One that could have deadly consequences . . . There's already three books in this series! I haven't even had a chance to read the first one! I need to read this series ASAP!! 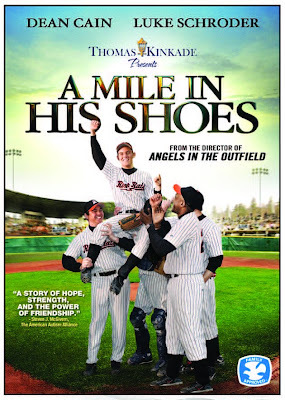 This feel good family film is a great addition to other inspiring sports films based on true stories. "The Mighty Macs" is a bit unusual from the norm though because it involves a women's sports team. The Mighty Macs were the first NCAA women's basketball national champs. It's especially inspiring to women and young girls because it's set in the early 70s when women's sports teams didn't have equal advantages as their male counterparts. This film focuses on all the struggles that this early female team had, that maybe we take for granted today. The girls didn't even have a gym to practice in, and you can tell what their hand-me-down uniforms look like in the photo. Yikes! The production quality of this film is outstanding, you can really tell this was a feature film released in the theater and not your usual made for tv fare. The acting is great, and as someone interested in vintage clothing, the costumes were amazing. Cathy Rush apparently was a fashion plate in addition to a basketball coach, and it's so fun to see her wardrobe. 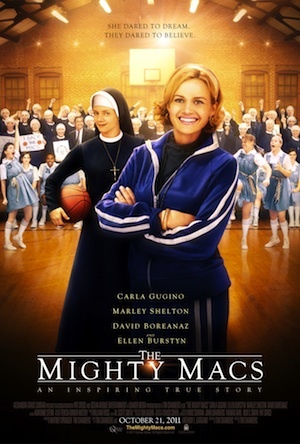 "The Mighty Macs" is a great film for sports enthusiasts. While the team's journey to victory was outstanding, sometimes I felt like the more personal stories were glossed over a bit. I wanted to really know what was going on in Cathy's rocky marriage. I also wanted to know more about the college's financial struggles and how exactly the team helped them regain their footing. The movie takes place in a Catholic girls' college, but I don't feel like the movie was overly religious, and it definitely wasn't preachy. I thought this film was a great portrayal of nuns as real people with real lives and feelings, and never a caricature. Bottom Line: This film will appeal to sports enthusiasts everywhere, and especially inspiring to young girls and women involved in their own sport teams. Propeller has generously provided a DVD copy of "The Mighty Macs" for one lucky reader of my blog! Meena Harper has a special gift, but it's only now that anyone's ever appreciated it. The Palatine Guard — a powerful secret demon-hunting unit of the Vatican — has hired her to work at their new branch in Lower Manhattan. 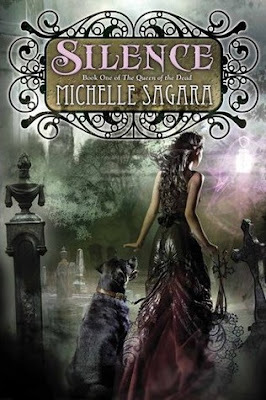 With Meena's ability to predict how everyone she meets will die, the Palatine finally has a chance against the undead. I haven't read the first book in this series, so the beginning was a little confusing for me, but once I got into it, I enjoyed the book. 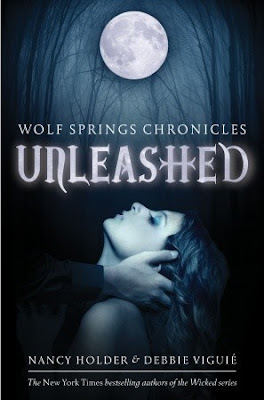 I liked that it wasn't as intense, violent or gory as most adult paranormal books. It was a little more watered down, which is a good thing for scaredy cats like me. 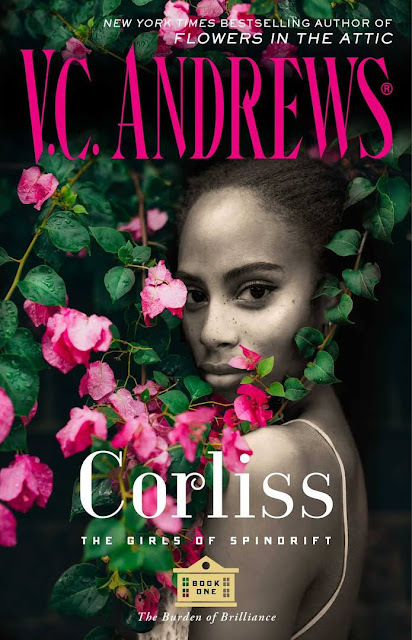 I didn't have to worry about curse words sprinkling every page, or a creepy love scene or other violence that are so predominant in the adult paranormal genre. I can see how readers who love that genre though, might be disappointed in this book since it's a much more safe version. While I did enjoy the book, and was glad that I didn't have to worry about any cringe worthy scenes, the book didn't really stand out for me. It kind of seemed like I had read the story before. 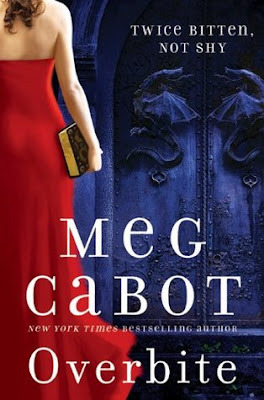 The characters didn't really fly off the page for me, but I feel like that might have been because I didn't read the first one where you really got to meet the characters.I think that might also be why I wasn't that absorbed in the romance. It's hard to step in late and still really know what's going on. Bottom Line: A tamer, safer adult paranormal romance, but missing a little oopmph. 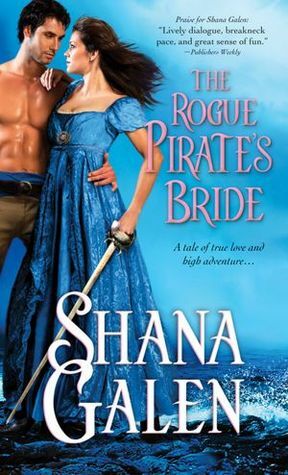 Passionate, action-packed Regency romance by RT Reviewer’s Choice award-winning author Shana Galen features the swashbuckling Sebastien Harcourt, marquis de Valere, and the nautical genius heroine destined to best him. After escaping France on a privateer’s ship, Sebastian becomes the notorious privateer Captain Cutlass. His reputation as a rogue precedes him and he’s undefeated in battle, until he crosses swords with the beautiful daughter of a British admiral. Raeven Russell is out for revenge, but now she’s not so sure she wants the dashing captain to change his wicked ways. This is a really great pirate story, and most of the story really takes place at sea! If you're like me, you've noticed that a lot of historicals claim to be about pirates, and there's hardly a pirate or ship in sight. This is not like that at all, there's so much swashbuckling action, if you're into pirate tales, I highly recommend this book. Bastien is a gentleman pirate, not your typical rough looking sea captain, and Raeven is no shrinking violet that he's abducted. She can hold her own just as well as him, as the daughter of a British Naval Admiral who has spent her whole life on a ship. I really liked that the characters were so well matched. I wasn't sure I was going to like Bastien at first, but then he started to be really sweet, and who can resist sweet nothings whispered in French? Raeven showed a lot of growth, too. In the beginning, she was so selfish and naively headstrong. But she grew a lot and showed that she can really care about others besides herself. Sometimes the romance took a backseat to all the high seas action, but in this case it was okay because I love good pirate adventure. 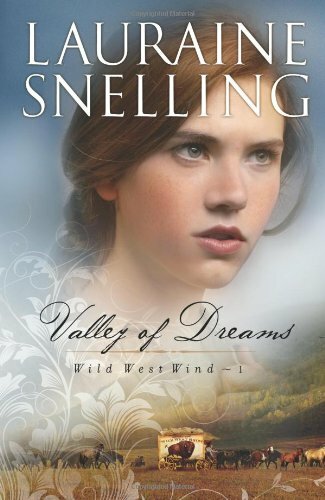 If you are a fan of lots of adventure in your romances, this is a great book for you. Bottom Line: A fun ride on the high seas with lovely romance! 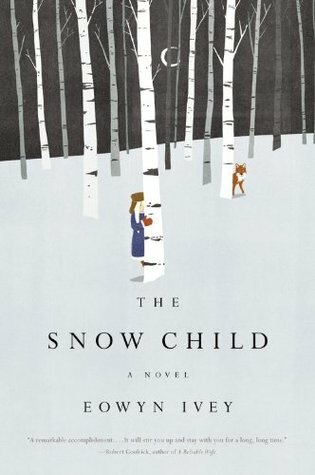 If you think this book sounds good, here are some reviews of other books I've read by this author! "The Making of a Gentleman"
It began in the graveyard. Ever since her boyfriend Nathan died in a tragic accident Emma had been coming to the graveyard at night. During the day she went through the motions at her prep school, in class, with her friends, but that’s all it was. But tonight was different. Tonight Emma and her dog were not alone in the cemetery. There were two others there—Eric, who had just started at her school, and an ancient woman who looked as though she were made of rags. And when they saw Emma there, the old woman reached out to her with a grip as chilling as death…. The best part about "Demons at Deadnight" is definitely all of the awesome characters and their funny, witty dialogue. Aurora is a great lead, and all of the Hex Boys are well thought out, well rounded characters, too. The action was very fast paced, there is never a dull moment in this book. It really reminded me of the adult paranormal romances and urban fantasy books that I have read as opposed to other YA in the genre. 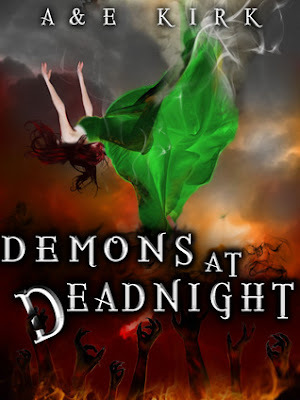 There is so much action and the authors don't shy away from violence, gory beasts, and other grittier aspects of the genre. Sometimes, I felt like Aurora was knocked into unconsciousness one too many times but otherwise the action was great. The Hex Boys were really fun to read about, even though it was a little overwhelming to keep them all straight at first. I think Ayden is my favorite, or maybe Tristan, then there's Logan so I'm not totally sure.... I was glad that Aurora had picked out Ayden as her favorite from the start, so there was no love triangle or anything like that. Although Aurora did seem a little boy crazy at times. I might have liked it better if her gushing about the boys' hotness was more restricted to Ayden only instead of every boy she met. Bottom Line: Get ready for a no holds barred adventure with Aurora and her cute friends, the Hex Boys. 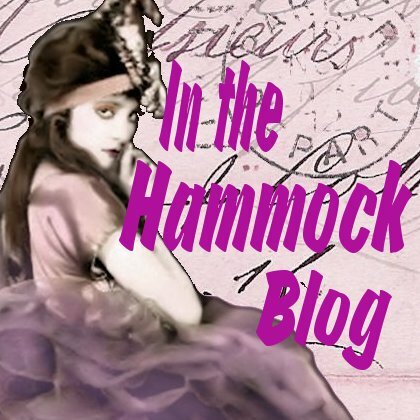 Guest Post with Lauren Willig, Giveaway and Review: "The Garden Intrigue"
Today, I am so excited to welcome Lauren Willig to In the Hammock for a guest post about her newest book, "The Garden Intrigue." 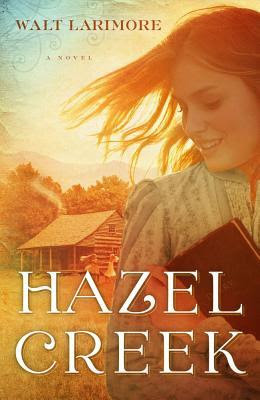 You will also find my review of this great new historical, as well as a giveaway for a brand new copy of the book! Sometimes, it seems like there are almost as many virgin widows running around Regency Romance Land as there are dukes—and there are an awful lot of dukes out there. Disguised as gardeners, going undercover as spies, taking to the high seas as pirates…. I wanted to write about someone who has been forced to learn and grow through successive wrong relationships, not someone who stumbles on Prince Charming at the age of eighteen during her first evening at Almack’s. Because, let’s be honest, which of us hasn’t had romantic missteps? The trick is learning from those early errors, being able to apply those lessons to create a truer and more mature relationship down the road. My heroine, Emma, isn’t a vamp or a tramp or a member of the demimonde; she’s just someone who made some poor relationship decisions in the past—and which of us hasn’t? As a teenager, she eloped from Paris boarding school with a handsome Frenchman twice her age. It seemed like a good idea at the time, but marriage turned out to be more than poetry and moonlight. It was hard work, something Emma at fifteen hadn’t bargained for. When we meet Emma, it’s been ten years since her impulsive elopement, four years since her husband died of a fever. As Murphy’s Law would have it, he died just as they were starting to really figure each other out. Since then, Emma has become a fixture on the Paris social scene. Her friends have urged her to erase the bitterness left by her husband’s death by taking a lover. She tried it—but, once again, picked the wrong guy. Anyone who has ever had to deal with seeing a regrettable hook-up months later in a college dining hall will know exactly how Emma feels about running into her former indiscretions on the Paris party circuit. 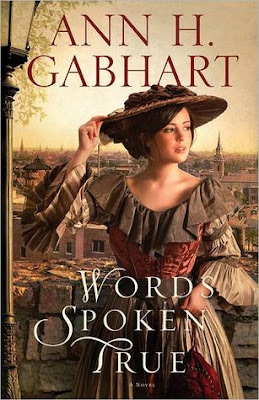 It helped that my book is set in Paris in 1804, where mores were different from those in England. Although Napoleon turns into Mr. Morality (sorry, I mean His Excellency, the Emperor of Morality) once he crowns himself Emperor, during the period in which Garden Intrigue is set some of the harum scarum hedonism of the Directory and Consulate still lingers. Parisians then, as now, were much more open about their affairs and much more forgiving. No one is going to shun Emma for having sown her wild oats a bit—in fact, they would think her rather odd if she hadn’t. One of the things I loved about writing Emma’s story was getting to tackle the topic of second chances. Emma is someone who’s seen her happily ever after go sour on her—but she’s still willing to take a chance and put herself out there again, learning the difference between first love and real love. So that’s my non-virgin widow. (I promise, no dukes were wounded in the writing of this novel!) Are there any romance novel tropes you’d like to see turned on their heads? Thanks so much for stopping by, Lauren! Emma and Augustus both are definitely not your typical romance lead characters! They are more like those really interesting secondary characters that I always want to know more about. Thanks for giving these flawed, and unique characters their own story. In the ninth installment of Lauren Willig's bestselling Pink Carnation series, an atrocious poet teams up with an American widow to prevent Napoleon's invasion of England. Secret agent Augustus Whittlesby has spent a decade undercover in France, posing as an insufferably bad poet. The French surveillance officers can't bear to read his work closely enough to recognize the information drowned in a sea of verbiage. New York-born Emma Morris Delagardie is a thorn in Augustus's side. An old school friend of Napoleon's stepdaughter, she came to France with her uncle, the American envoy; eloped with a Frenchman; and has been rattling around the salons of Paris ever since. Widowed for four years, she entertains herself by drinking too much champagne, holding a weekly salon, and loudly critiquing Augustus's poetry. As Napoleon pursues his plans for the invasion of England, Whittlesby hears of a top-secret device to be demonstrated at a house party at Malmaison. The catch? The only way in is with Emma, who has been asked to write a masque for the weekend's entertainment. Emma is at a crossroads: Should she return to the States or remain in France? She'll do anything to postpone the decision-even if it means teaming up with that silly poet Whittlesby to write a masque for Bonaparte's house party. But each soon learns that surface appearances are misleading. In this complicated masque within a masque, nothing goes quite as scripted- especially Augustus's feelings for Emma. As soon as I saw that this book had a poet as the lead male character, I knew I had to read it. And Augustus Whittlesby doesn't disappoint. I love that he battles with his 'real' self and his invented persona of poet. It's even more interesting that the two have actually become one more than he even wants to admit. Emma also battles with an invented persona of her own. She wears a mask in public of glittering jewels and socially acceptable flirting, when really she isn't that social butterfly at all. It's lovely to see both characters being able to show each other their true selves. Emma and Augustus' romance may have gotten off to a slow start, but once it starts cooking, it's so very romantic. He is a poet, after all. It's also very interesting and quite realistic that both characters have been in love before. We see Emma struggle with memories of her husband, and we see first hand Augustus' unrequited romance with the Pink Carnation herself, Jane. These past romances don't dilute the love between Emma and Augustus, instead I think their romance becomes more real for it. The parts of this book that deal with the present day aren't really my cup of tea. This format rarely ever works for me, so it's not just this series. I feel like it takes me out of the story when I want to completely escape into the past. I would read a cliffhanger ending to a chapter, only to turn the page and be stuck in 2004 again. I know the present day characters are a lot of readers favorite part of the series, though. Bottom Line: A lovely new addition to this series, with memorable and very unique lead characters. 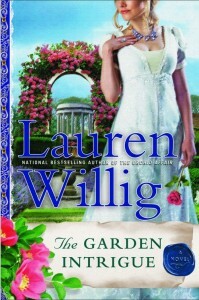 Dutton books and TLC Tours have generously provided a brand new copy of "The Garden Intrigue" for readers of my blog! Please answer Lauren's question above to enter! Books will be mailed out by the publisher, it is the publisher's responsibility to mail out the prizes. In the Hammock is not responsible for lost of missing book. Please allow up to 8 weeks for delivery. 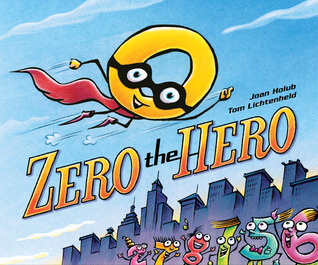 A children's book sent by one of my favorite authors! A ghost will find his way home. But I am not a ghost. And this house is not my home. As Jennie tries to mend the pieces of her broken life, she feels an eerie presence from something otherworldly...something that won't let her leave the past behind. 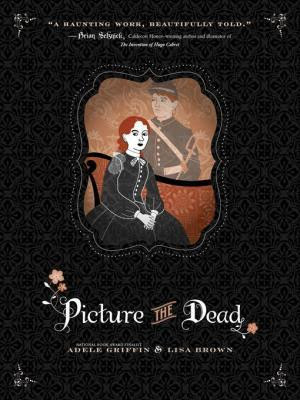 Acclaimed author Adele Griffin and bestselling illustrator Lisa Brown have created a spellbinding mystery where the living cannot always be trusted, and death is not always the end. This is one of the best books I've read for a long time. It was so refreshing and unexpected, and I was on the edge of my seat up until the last page. I was already a fan of books set during the civil war, and also a fan of ghost stories, so I was pretty sure I would like this book. I wasn't expecting to love it so much though! Jennie is a great main character, she's smart and strong and I think a lot of readers can relate to her. The other characters in the book are amazing too. Everyone plays their part, from Jennie's horrible Aunt Clara, to her wounded cousin Quinn, and even the mysterious spirit photographer Geist. I loved the illustrations and how they helped to tell the story. The drawings are essentially pages from Jennie's scrapbook, one of the only things that she feels like really belongs to her. The reader gets to read Jennie's letters as they were written, stained and all. And we get to actually see the photos that the family poses for at Geist's studio along with a lot of other photos that Jennie has collected along the way. 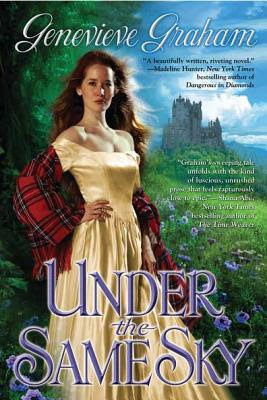 Bottom Line: This book is really something special and I recommend it to anyone who likes history, romance, and a good ghost story. 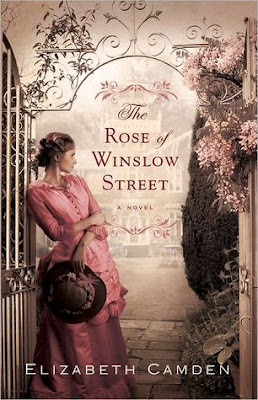 A lush, historical novel about the secretive Darlingtons of Wentworth Hall! Obviously this one is going to tie in with the Downton Abbey craze and I am very happy with that! Keep them coming, please! I hope the craze stays around for awhile, I love it! "Miss Hillary Schools a Scoundrel"
Debonair bachelor Lord Andrew Forest lives for pleasure and offers no apologies. But he receives a dose of his own medicine when his family's entrancing houseguest beds him, then disappears without so much as a by-your-leave. He'd like to teach the little vixen a thing or two about how to love and man...if he can find her..
After the dashing man of her dreams is revealed as a lying scoundrel, heiress Lana Hilary is ready to seek a match with a respectable gentleman-if only they weren't so dreadfully boring. Unable to rein in her bold nature for long, Lana flirts with trouble and finds herself entangled with exactly the type of man she's vowed to avoid. This book was okay but it was missing something for me. I was entertained, but it seemed to lack substance. It wasn't really a story that stood out among other historical romances. I wasn't really impressed by the hero, I couldn't understand what Lana saw in him besides his good looks. He did improve as the book went on, but I still couldn't see why she was so willing to risk everything for him in the beginning. I also found it hard to trust him because he seemed to have another woman in every town and city. It felt like Lana was just the flavor of the week for him and he would go back to his scoundrel ways eventually. I liked Lana, she had a quick temper and it was fun to see her snap at people. However, it didn't really seem like she had much of a back story. The most interesting thing about her back story was her relationship with her brother, and he sadly sat out most of the book with a broken leg. Bottom Line: Overall, the book is entertaining enough, but it lacks a little something special. 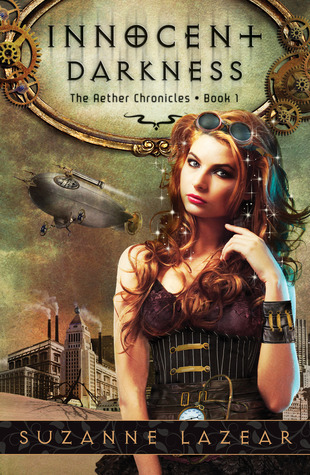 This debut author has potential and hopefully her next book will have more in depth characters. 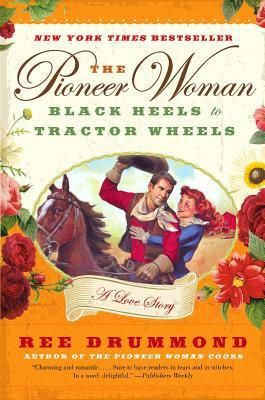 I am a huge fan of this author, and when I found out she was writing about a Wild West show, I knew I had to read it! It wasn't as much about the show itself, but more about the core characters leaving the show to find the Valley of Dreams. But still, with the heroine and her sharpshooting skills, her gorgeous, attention getting pony, and even a buffalo too old to perform anymore, there were enough references to the show to satisfy me. The only drawback to the book for me was that it didn't feel complete. 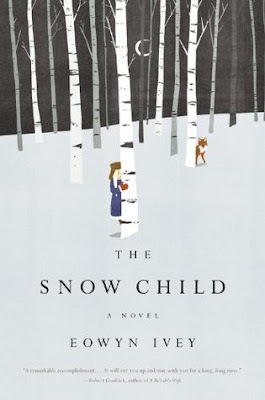 It felt like the first book in a series, but not one that could really be read on its own. It was like act one and two of a play, and we were cut off right before there was any real conflict. I loved the characters, and enjoy reading stories about journeys just as much as the destination, so I did really like the book. I just would have liked for there to be just a few more chapters devoted to an ending so I would feel like there was more closure. Bottom Line: The first book in a new series by a fantastic author, I just wanted the end to sum up a little more of the issues. This is my 100th IMM post! Wow! 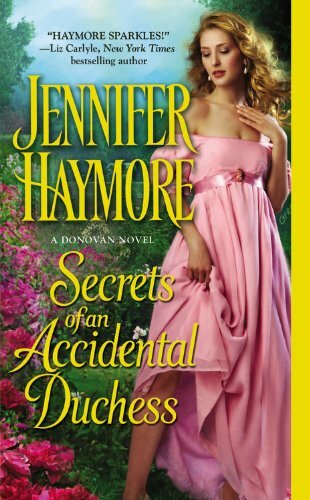 Giveaway and Review: "Secrets of an Accidental Duchess"
"Secrets of an Accidental Duchess"
The first third to half of this book was utterly amazing with an engrossing and over the top romantic love story. If the middle and last part of the book were like this as well, I would have definitely given this one 5 stars and more! However, the middle and later parts of the book were consumed with the villain and some less than believable kidnapping and murder plots. Which was really disappointing, because the main characters and romance were so fantastic! Still, since I loved the first part so much, I'm giving this one 4.5 stars and whole heartedly recommending it to romance fans. Max and Olivia were so very sweet together, they had a romance that was free from all the petty squabbles and misunderstandings we see so often. It did seem jarring that they hopped into bed so quickly, just because Max was so respectful and it seemed out of character for Olivia too. However, I do see how this was necessary to the overall plot, especially the villians' motives, etc. I really love the supporting cast of this book. Both Jonathan and Serena (Meg?) were back in a big way. Jonathan was truly adorable as the overprotective brother in law (another reason why the aforementioned bed hopping didn't work for me). And I'm thrilled Captain Langley was back as well. I absolutely cannot wait for his story next. I am so happy with the direction his story is headed in and I have to add "I knew it!" Bottom Line: The romance between these two leads is just the sort of sweet, all consuming love that I love to read about. The only drawback is that not enough time was focused on the romance, and too much attention was on the villain. This one looks too cute!! 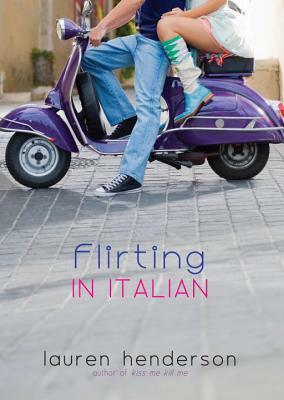 Love the summer abroad plot and I seem to like books where there are different points of view. This book came with an awesome swag package that was so much fun to open! There are so many fun clues about the book, I can't wait to read it! This sounds so unique and it's already getting great reviews. I've been wanting to read this since it came out in hardcover! Here's another book I've wanted to read the hardcover was released! 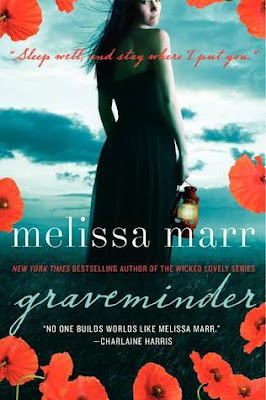 I can't wait to read a paranormal by this author! Winners were chosen via random.org random number generator. Congrats to the winner!! I have emailed the winner for her/his mailing addresses. Winner has3 days to respond :) A huge thank you goes out to everyone who entered!! Congrats! !